Laura Bruno has authored three books and a collection of guided journals. She has also contributed to several books, including most recently, Raw Fusion: Better Living Through Raw Foods, by LindaJoy Rose, PhD. For purchase information and reviews of Laura’s books, please click the links below. At long last, “Lyme Journal: A Guided Recovery Workbook” is now available! You can purchase the 8 1/2 x 11″ journal/workbook here. I designed this 139-page workbook based on over 17 years as a Medical Intuitive Life Coach. Since 2004, I’ve focused on supporting clients, friends and family struggling with Chronic Lyme Disease. In addition to my still-in-progress “Metaphysics of Lyme” book, this latest release shares the unusual knowledge I’ve acquired through intuition and supporting amazing souls on their own Lyme journey. Prompts on each page explore common Lyme issues and foster positive changes, inside and out. This guide works best for people open to a holistic approach to healing. It explores physical, mental, emotional, and spiritual patterns. Whether you write, draw, or collage your answers, this workbook helps you to identify and address hidden aspects of your journey. Since Lyme is “The Great Imitator,” these questions also apply to autoimmune and neurological issues, along with chronic pain, co-infections, adrenal fatigue, thyroid issues, Chronic Fatigue Syndrome, MS, toxic mold exposure, and more. When people shift limiting thought patterns, clear away spiritual dross, and begin to celebrate and cherish their unique gifts, they open space for healing. This journal/workbook is not meant to replace traditional or alternative treatments, but to trigger movements up and out of the vibration of Lyme symptoms. By accessing deep, authentic parts and honoring Lyme as a powerful soul healer/guide, life becomes freer and more magical than ever before. “Lyme Journal: A Guided Recovery Workbook” is available on Amazon. You’re a Certified Reiki Level 2 Practitioner, now what? How can Reiki Symbols and Reiki Level 2 Awareness improve your daily life? This guided practice journal shares 42 prompts, exercises, techniques and ideas to deepen your experience of the Reiki Level 2 Symbols. Learn new ways to give and receive Power, Mental Emotional Balance, and Reiki Distant Healing. Designed by a Reiki Master Teacher to support students trained and attuned to Reiki Level 2, this 42-day program explores Universal Life Force Energy in a profound and personal way. Please note: this is a guided practice journal for people already trained in and attuned to Reiki Level 2. 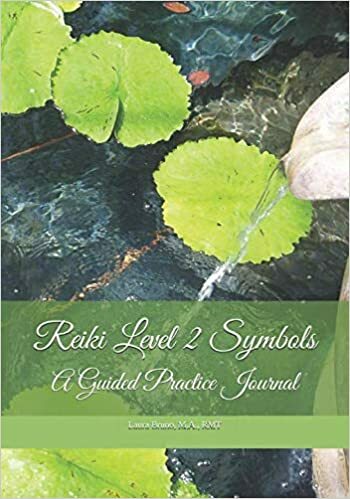 This guided practice journal helps you to maximize your Reiki Level 2 practice, but it requires prior training in how to draw the symbols. I’ve taught Reiki since March 2002, and I keep encountering Level 2 Practitioners who finished their certification without a clear understanding of the amazing tools they received. This guidebook includes many tips and exercises I share in coaching sessions and in my Level 3 training of people who’ve taken Reiki 1 and 2 from other Reiki Master Teachers. It turns my research and experience into questions that help you discover how the Reiki 2 symbols work for you in your life. The more you practice Reiki, the stronger it flows. This guided journal allows you to take theory and apply it in a joyful, expansive practice. You can purchase this 7 x 10″ guided journal by clicking here. The Reiki Healing Attunement is one of the most powerful techniques learned in Reiki Level 3. You can use a Reiki Healing Attunement to supercharge goals, health, career, finances, relationships, and so much more. Use this journal to record the date, intentions, who or what you’ve attuned, and any observations before, during and after the Reiki Healing Attunement. The prompt pages leave room for notes, photos, drawings and other details to track your Reiki experience and results. Please note: this is not an instruction guide. Learning how to perform a Reiki Healing Attunement requires training and certification in Reiki Level 3 (Master or Master Teacher). This is a notebook for people already attuned and trained to Reiki Level 3, who know how to perform a Reiki Healing Attunement. 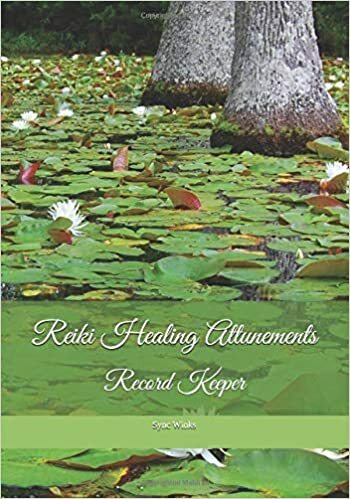 The notebook contains prompts to record each Reiki Healing Attunement in one convenient location, so that you can track and improve your results. I published this notebook under the pen name Sync Winks, because this will be your Reiki Healing Attunements Record Keeper, not mine. A hallmark of Reiki Healing Attunements is a major increase in synchronicities and “can’t make this up” coincidences — hence the pen name Sync Winks. I designed this 7 x 10″ notebook to coordinate with the Reiki Level 2 Symbols practice journal. Both products support greater awareness of how Reiki flows in your life. Recording date, time, intention and results of Reiki Healing Attunements in one place encourages deeper understanding of how this powerful tool works. You can return to your notebook for encouragement, faith boosting, and success reminders. You can also track experiments with different timing (i.e. morning, evening, New Moon, Full Moon, Wheel of the Year, etc.) to see if and how those things affect your results. You can purchase the Reiki Healing Attunements Record Keeper by clicking here. $17 paperback includes shipping in the US. E-books and autographed paperbacks are available directly through me. Please contact me with your request for an e-book or paperback copy. Unlike other books on healing from so-called “Medical Mysteries,” If I Only Had a Brain Injury encourages readers to chart their own inspirational journeys. The book’s structure follows The Wizard of Oz storyline (Dorothy’s journey begins with a concussion), guiding readers to a “yellow brick road through recovery.” A collection of personal examples, alternative treatments and spiritual growth exercises, this book also offers wisdom from thirteen contributors, including Robin Cohn (Vice President of New York State Brain Injury Association), Dr. William Padula (Neuro-Optometric Rehabilitation Association), Dana Reeve, and Kay Strom. Available in e-book only due to hyperlinks for easy reference. Please contact me for purchase, and I’ll send you an invoice and the PDF file. An ordinary Sedona school day turns cosmic when Schizandra faints. What prophets have whispered for millennia has finally come to pass. Schizandra Ginger Parker has crossed the veil and she now holds the key to human evolution. Mythic archetypes and ancient prophecies loom large, but her visit to the underworld marks only half the journey. 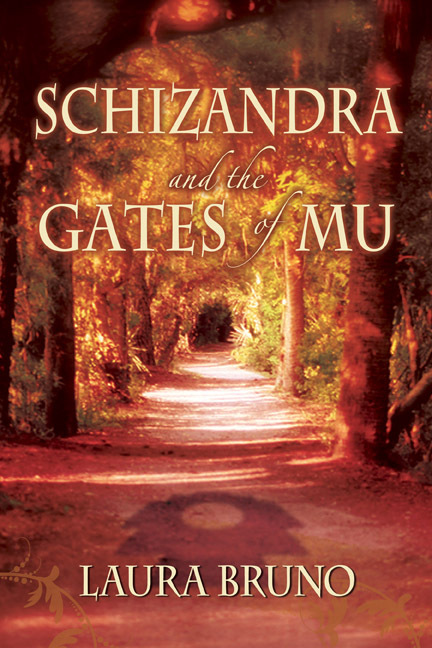 Can Schizandra move beyond her crippling doubt and grief so that she can fulfill her destiny? Humanity has come this far before — many times — but fear has always stopped the transformation. Readers will laugh, cry and shiver their way through Book One of the Schizandra series. When will the sequel to Schizandra be out? I really loved the book!! !